Autumn Peaches - An orchard of one - What about the food? The story of a third generation Japanese American peach and grape family farm and the efforts to find a market for their Sun Crest peaches in a time when, “the demand remains weak and I have to accept lower prices.” Yet author David Mas Masumoto dreams of shoppers biting into them and saying, “Aah. This is a peach!” To share with them, that wondrous experience, where the sun-ripened juices spill down your chin and the sweet scent creates an indelible memory by which all other peaches are compared. Written in 1995 when there were fewer farmer’s markets, less gourmet emphasis on farm to table and the closest you get to farmers were probably the roadside stands in the valley where you stopped as you drove through to the Sierras. A story in a time when Alice Waters was just starting her Chez Panisse Foundation and the creation of the Edible Schoolyard program. Yet reading this lyrical, poetic and earnest memoir reflecting one family’s decision to take the risk to farm organic and save their specialty crop is a harbinger of current trends which are now commonplace — even in chain grocery stores. Signs abound labeling produce from this or that family farm or from the bounties of the valley that feeds the nation. It is suddenly a marketing positive to offer limited quantities of highly specialized produce, “hurry while supplies last.” As consumers we benefit enormously. Masumoto’s decision to save his peach in these times may have been easier, but it took leadership and risk decades ago to get us here. The words he wrote so eloquently for the LA Times gave voice to those farmers that grew heritage and heirloom crops. At risk because they could not meet the demands of cross country transportation and cookie cutter uniformity that defined the then market expectations. 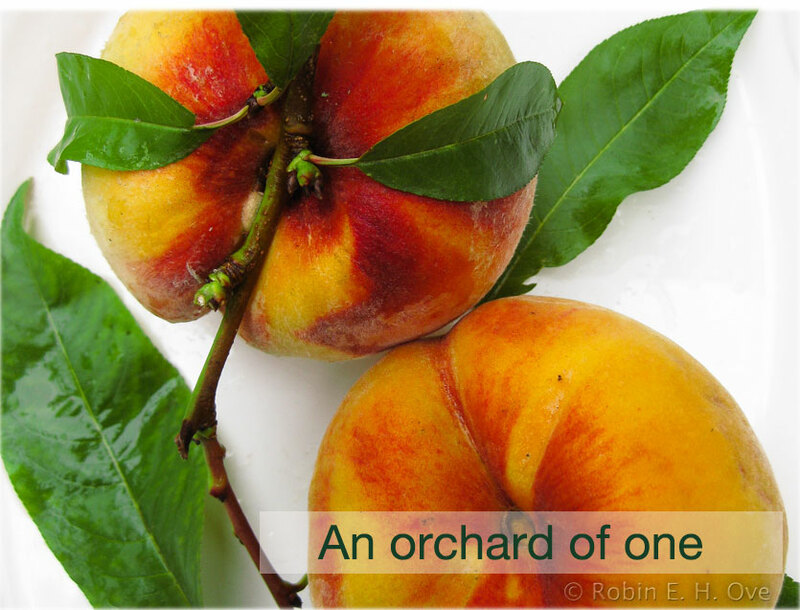 Our own story is less dramatic attempting to save our little peach tree, our orchard of one. The lone, little thing planted an easy forty or more years ago, in a four foot by four foot opening, buried in a of combination sandstone and limestone on hill side patio encased in cement by some cockeyed optimist. For years the heavy fruit would bend the branches down under the weight of the hard fuzzy orbs. Breaking off main branches and dropping fruit that never seemed to ripen — even by the time autumn’s first rains fall and the green curly leaves begin to yellow. We had pretty much written this tree off as an annoying mess maker with inedible fruit, only good for the welcome shade it provided during the hot summer. Each spring we began thinning the small pea-sized fruit buds to lessen the stress and the cleanup in the fall. Occasionally I would be so disappointed when the spring and early summer market fruits arrive, “why can’t you be like those peaches?.” But comparing such things is really useless. Then one year, while my darling dear was picking up the fallen fruit, the fuzzy flesh gave just a bit, a delicate scent wafted as it passed by his face and he paused. “Honey?” he called to me, then again, “Honey, come here!” Rushing to join him, he hands me the grapefruit sized peach. “Smell this” he urged. Skeptically, I held the huge peach to my nose. For once, it smelled like a peach and with hopeful anticipation, he took out his pocket knife and cut two slices. The tender flesh, brilliantly orange was still firm, chewy but finally, after all this time it actually had flavor! I can work with this! No Sun Crest for sure, but passable and commendable for the little peach tree, planted in the wrong place, in the wrong soil. Each year since then, my darling prunes the major branches, now down to three or four and thins out the fruit just after the blossoms fall in early spring. From late February to early October we wait. How will our little peach tree do this year? Last year was steller, but with the crazy changes in weather patterns, this year the harvest is later, the peaches are less sweet, the flesh a bit more wooden, but still workable. With enough sugar and imagination the whole of our crop (about 30-40 peaches) will be savored and appreciated. Thank you little tree. 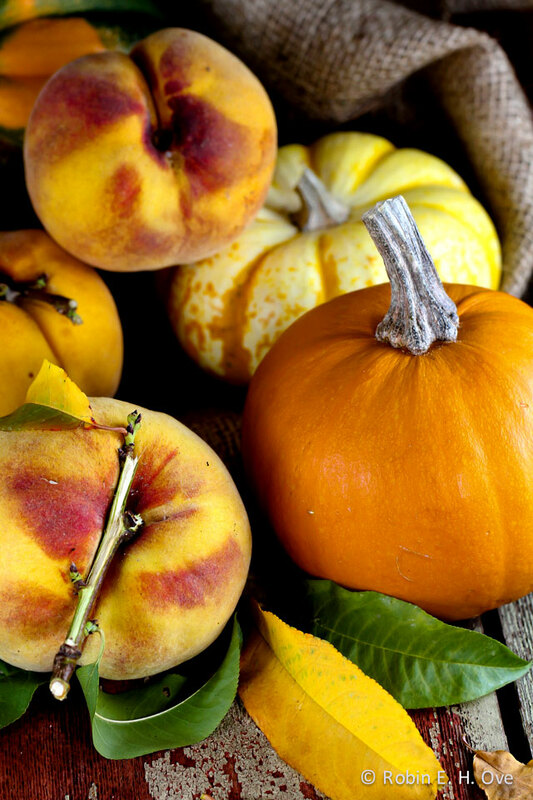 Autumn then, conjures not only images of fallen leaves, golden and rusty, pumpkins, squashes and gourds, but also of peaches. At last, ready for the table. 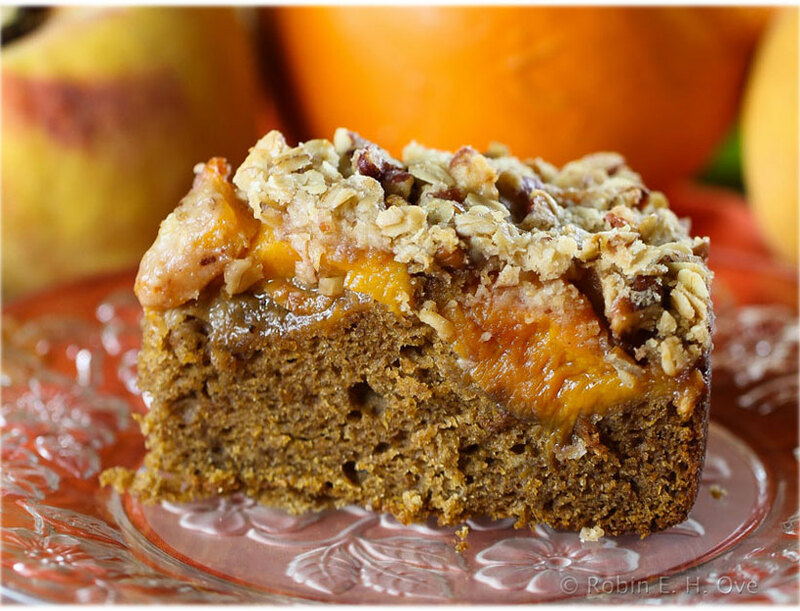 This recipe, Pumpkins Spice Cake with Caramelized Peach Streusel combines it all. 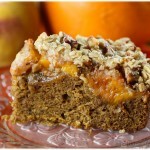 What says fall more than pureed pumpkin combined with cinnamon, nutmeg, ginger and allspice either in a cake, quickbread, pie or cocktail. This spice blend is the basis of a rich cake moistened with greek yogurt and topped with caramelized peaches which have macerated overnight in a blend of lemon juice, sugar, cardamon and a dibble of almond extract. On top, just like the apple or peach crisps you know you love, crunchy with oats, brown sugar and sweet butter. 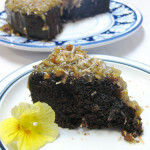 Serve with a dollop of vanilla ice cream while it is still warm from the oven with a good cup of coffee. 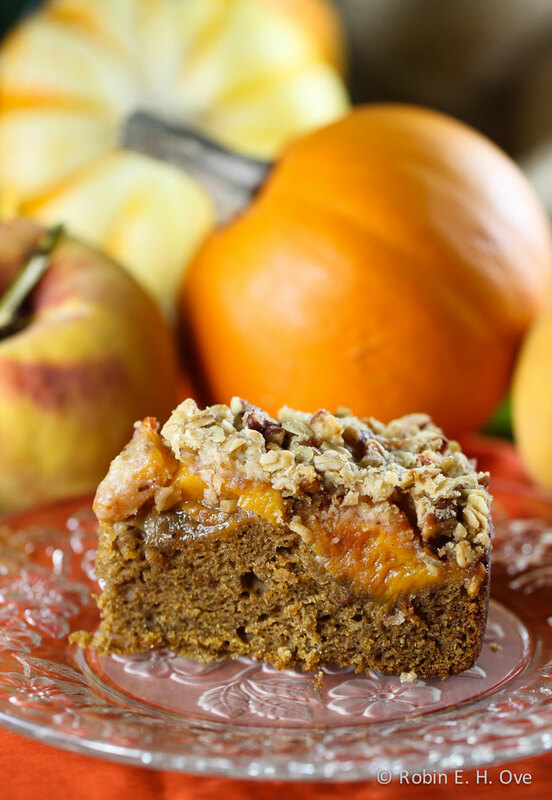 An easy to make pumpkin cake with sweet peach crisp-style streusel topping. Peel and slice peaches in large bowl. Sprinkle with lemon juice, add sugar, cardamon and almond extract. Stir to combine and cover with plastic wrap and let macerate overnight or for four hours. Note this depends on how ripe the peaches are, if fruit is dense the longer the marinating, if very ripe only soak for 30 minutes. To caramelize peaches, melt butter in large nonstick skillet over medium-high heat. 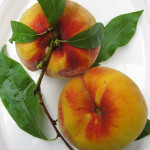 Remove peaches from macerating liquid and add peaches to skillet; sauté until begin to soften, about 7 minutes. Add brown sugar and cinnamon and sauté until golden brown, about 3 minutes longer. Cool. Preheat oven to 350°F. Butter 9-inch-diameter springform pan and line with parchment paper. Combine flour, brown sugar, butter, and salt in large bowl. Using a mixer, beat until mixture resembles coarse meal. Set aside ⅔ cup of mixture for topping, add oatmeal and chopped pecans. In a separate bowl, beat pumpkin, yogurt, spice, baking soda and eggs together. Add to flour mixture and beat until just smooth. Layer peach mixture evenly over the top. Sprinkle steusel topping over peaches. Dot with knobs of sweet butter. 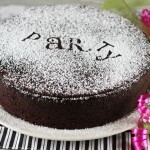 Bake cake until topping is golden brown and tester inserted into center comes out clean, about 1 hour 10 minutes. 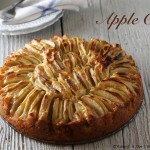 Cool cake in pan on rack 20 minutes. Run knife around pan sides to loosen cake before transferring to plate for serving. Serve warm or at room temperature with ice cream. 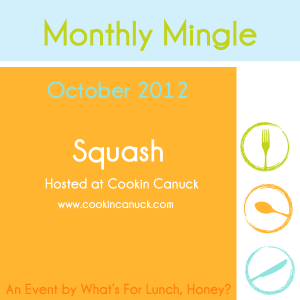 Monthly Mingle were created as a virtual potluck by Meeta at What’s for Lunch Honey and there is still time for you to join in! Create a setting which shows of orange as the dominant color and uses pumpkin. If you do not have pumpkin this time of year where you live you can use another orange food (carrots for instance). Create an autumn atmosphere with your photo/styling. Absolutely stunning pics Robin! And your spice cake creation oozes fall. I envision enjoying it with a cup of tea on a cool Sunday morning. I find now when driving in the country I still happen upon farm stands but more of them, and more younger people gardening organically. It’s nice we are slowly waking up in this area as a society. Happy Sunday! I will take a virtual tea time with you any day! For years I had this tiny apple tree in my garden. I bought it because it looked so sad (I can be weird like that) and I felt it needed a home.. Lol… It was not a real apple tree as that would just not do in our tiny garden but that one branch was always sooo full of the tiny apples as if it was trying to repay me for the fact that I bought i while no one else would. 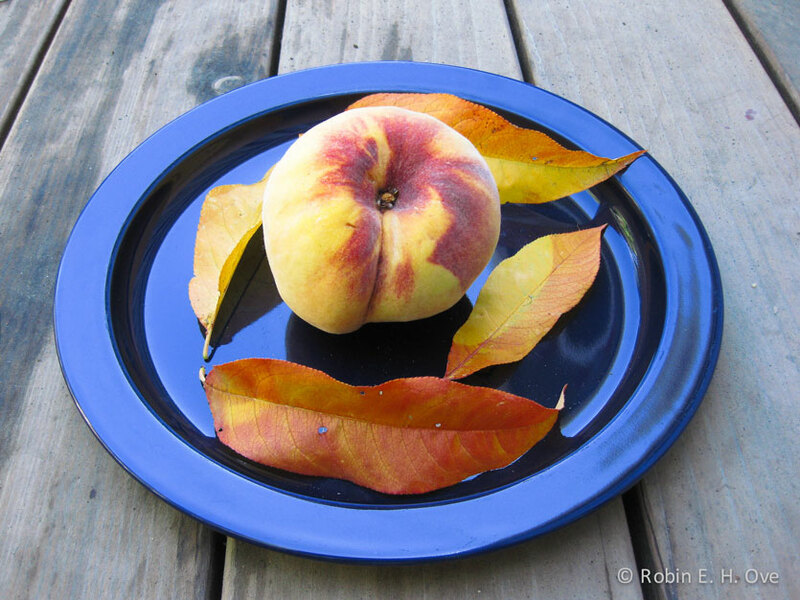 Sadly, at some point it died after a fullfilling life… Lol..
I’m glad your peach tree at last is giving of some good fruits and love the pictures Robin! Now the end result of that delicious looking cake…. How I would want to bite into that! Lovely! Oh Simone, that poor little tree :-(! Thank you so much for sharing that story. Makes me a appreciate my peach tree a little bit more, that’s for sure..
WordPress works with a number of security plugins. Absolutely love the look and sound of this cake, Robin. 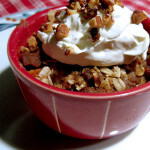 Caramelized peach streusel…how delicious must that be!